Biozar® Original is a nutritional supplement because, among other things, it contains a range of different herbs. 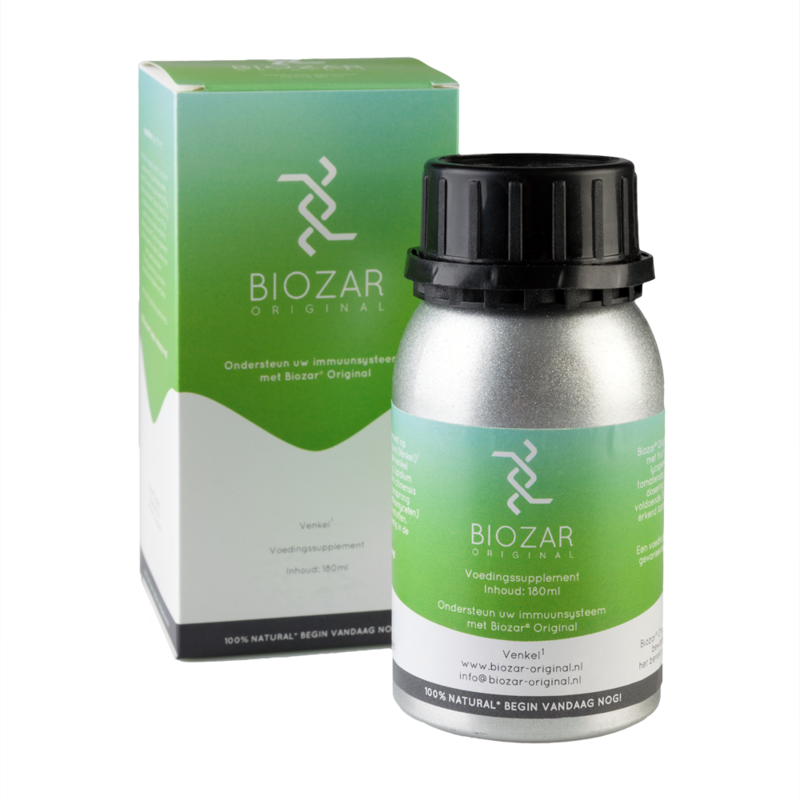 Biozar® Original is made from 100% natural ingredients and the addition of Fennel helps it support your immune system. Biozar® Original also contains micro-organisms. Biozar® Original was originally developed over a period of 26 years to create a 100% organic product that boosts plants’ natural defences. Fewer chemicals are therefore needed, which improves the growth, taste and quality of fruit and vegetables. Decades ago, a study proved that use of the supplement Biozar® Original was beneficial. The many years of research that followed has now culminated in a nutritional supplement for you: Biozar® Original. Start today! Biozar® Original is a liquid that is taken orally. For a maintenance dose, 3ml every two days is sufficient. For a daily dose, we recommend taking between 6 and 10ml every day. We also recommend taking the supplement with a high-lycopene drink such as tomato juice. Biozar® Original is best consumed with fruit or vegetable juices that contain a high level of lycopene. Examples include tomato juice, rose hip and watermelon. It can also be consumed with tap water. A small measure (3-6 ml/1-2 teaspoons) each day is plenty. Biozar® Original is regularly tested by a recognized laboratory. Do not exceed the recommended dose. Fennel is added to Biozar® Original to support the immune system. Thanks to Biozar® Original, I felt better in no time. Highly recommendable.